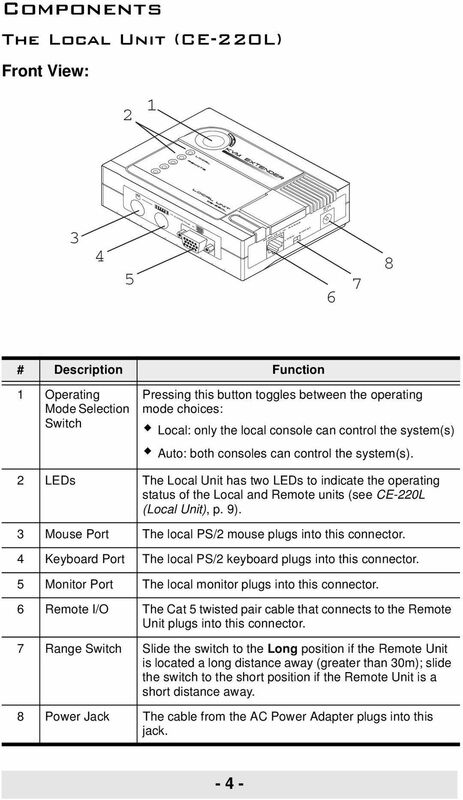 Download "CONSOLE REMOTE I /O AC 9V"
1 CONSOLE CONSOLE REMOTE I /O AC 9V AC 9V REMOTE I /O User Manual CE-220 Read this guide thoroughly and follow the installation and operation procedures carefully in order to prevent any damage to the units and/or any devices that connect to them. 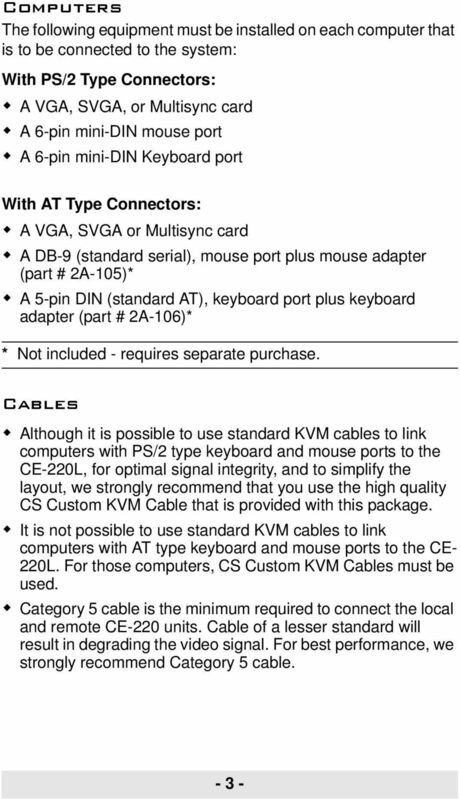 This package contains: 1 CE-220L KVM Extender (Local Unit) 1 CE-220R KVM Extender (Remote Unit) 1 Custom KVM Cable 2 Power Adapters 1 User Manual If anything is damaged or missing, contact your dealer. 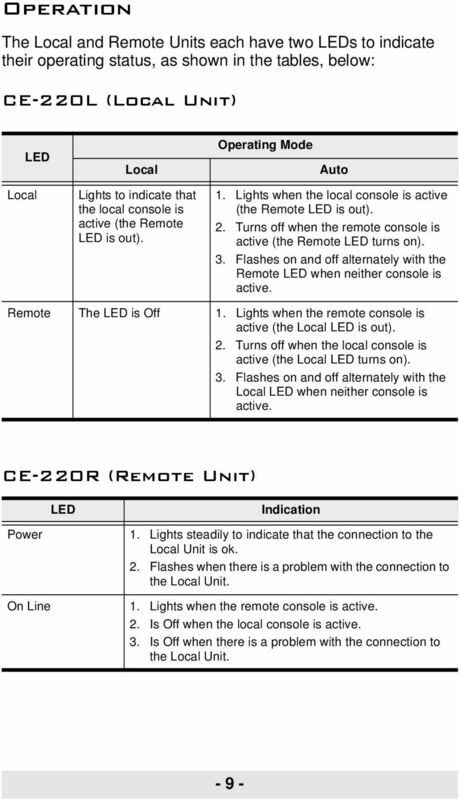 Copyright 2006 ATEN International Co., Ltd. Manual Part No. PAPE Printing Date: 11/2006 ATEN and the ATEN logo are trademarks of ATEN International Co., Ltd. All rights reserved. All other trademarks are the property of their respective owners. 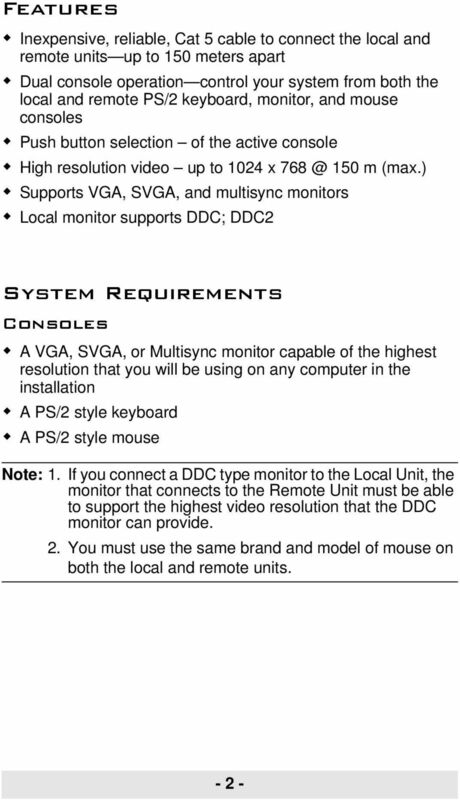 2 Note: This equipment has been tested and found to comply with the limits for a Class B digital device, pursuant to Part 15 of the FCC Rules. 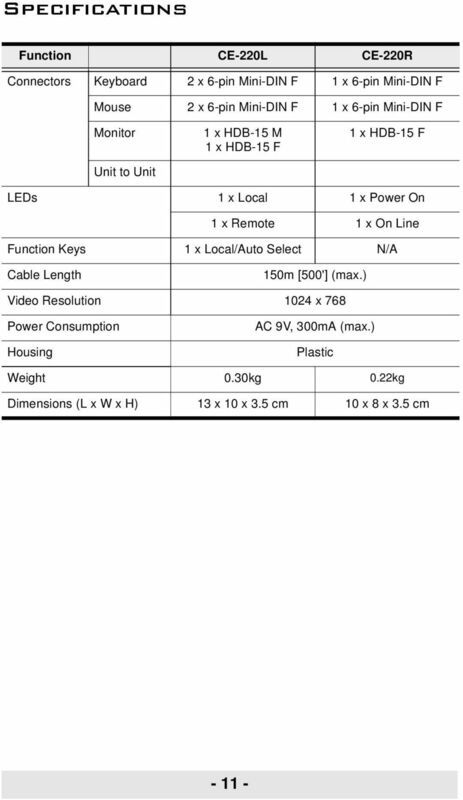 These limits are designed to provide reasonable protection against harmful interference in a residential installation. 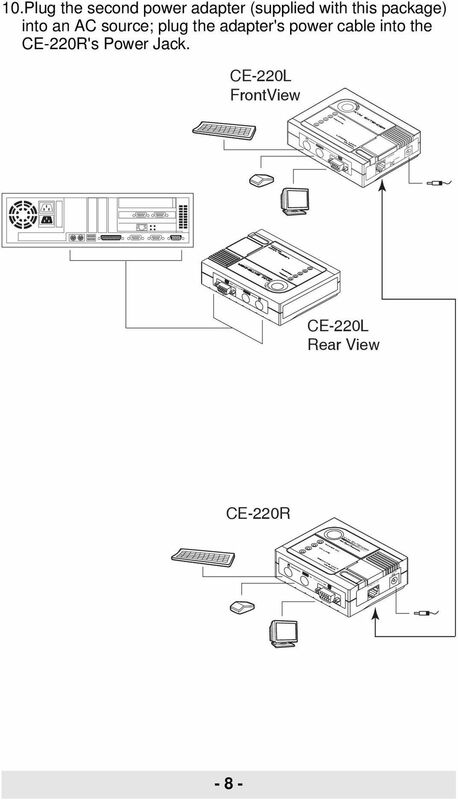 This equipment generates, uses and can radiate radio frequency energy, and if not installed and used in accordance with the instruction manual, may cause interference to radio communications. 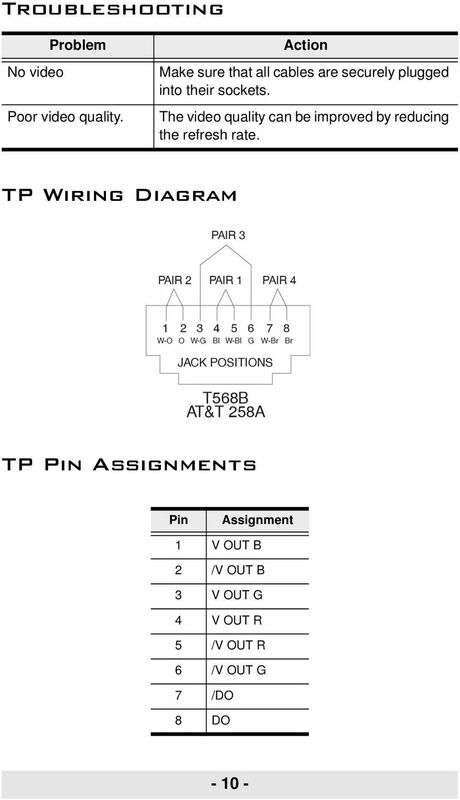 However, there is no guarantee that interference will not occur in a particular installation. 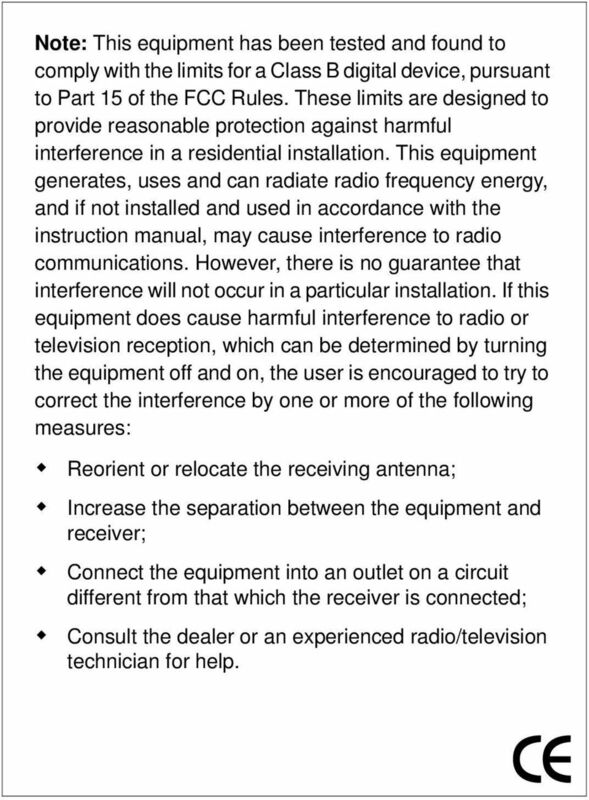 If this equipment does cause harmful interference to radio or television reception, which can be determined by turning the equipment off and on, the user is encouraged to try to correct the interference by one or more of the following measures: Reorient or relocate the receiving antenna; Increase the separation between the equipment and receiver; Connect the equipment into an outlet on a circuit different from that which the receiver is connected; Consult the dealer or an experienced radio/television technician for help. If anything is damaged or missing, contact your dealer. 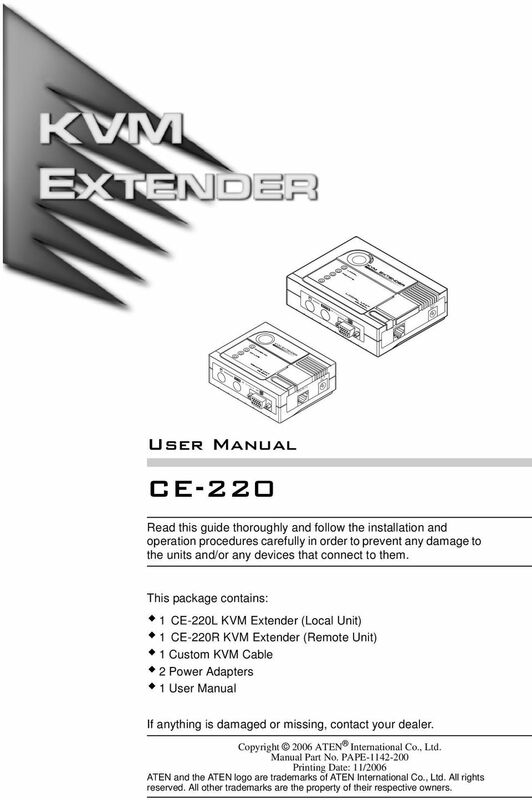 User Manual VS-0202 VS-0204 Read this guide thoroughly and follow the installation and operation procedures carefully in order to prevent any damage to the units and/or any devices that connect to them. 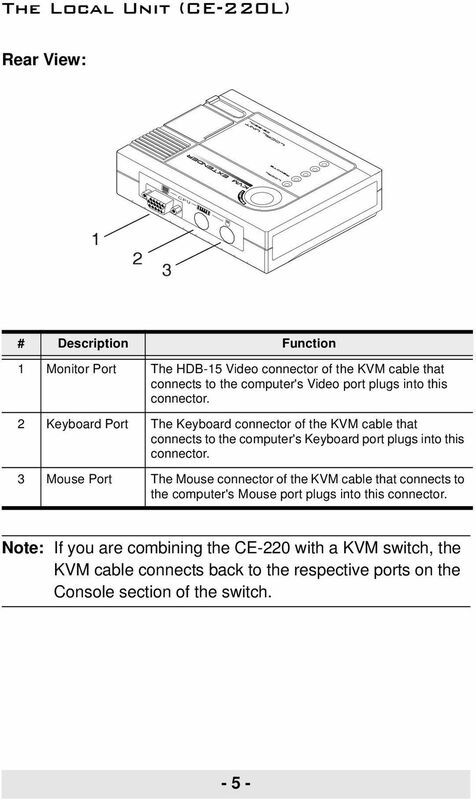 2 Port KVM Switch. 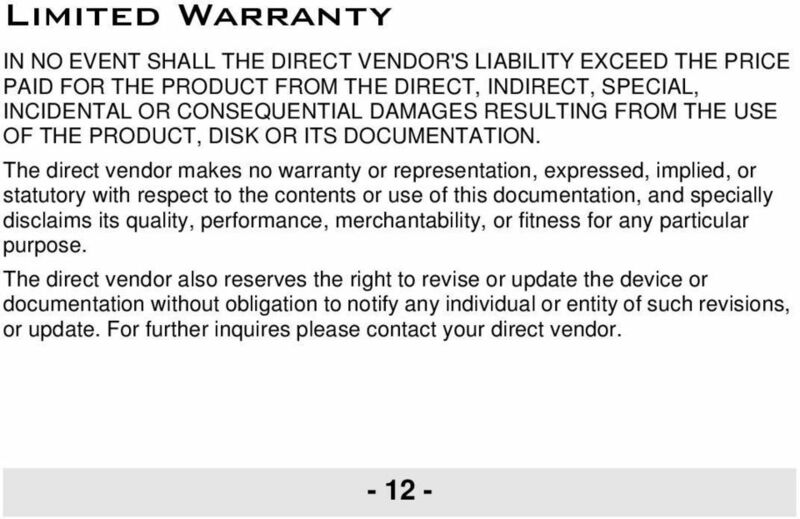 If anything is damaged or missing, contact your dealer. 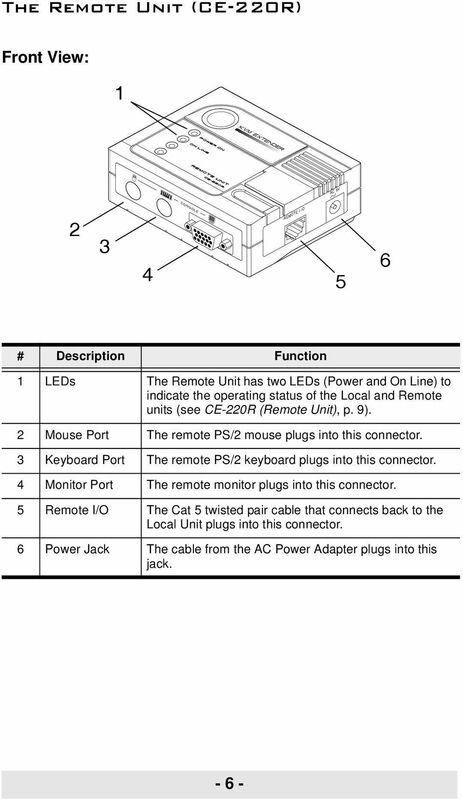 2 To 1 Serial (RS-232) AUTO SWITCH AS-251S User Manual Read this manual thoroughly and follow the installation procedures carefully to prevent any damage to the AS-251S and/or the devices it connects to. 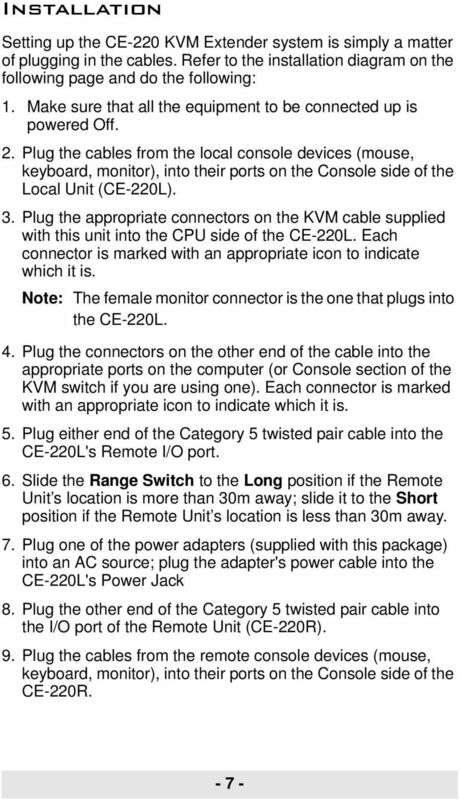 USB 2.0 Peripheral Switch USER MANUAL US221A / US421A FCC Information This equipment has been tested and found to comply with the limits for a Class B digital device, pursuant to Part 15 of the FCC Rules. 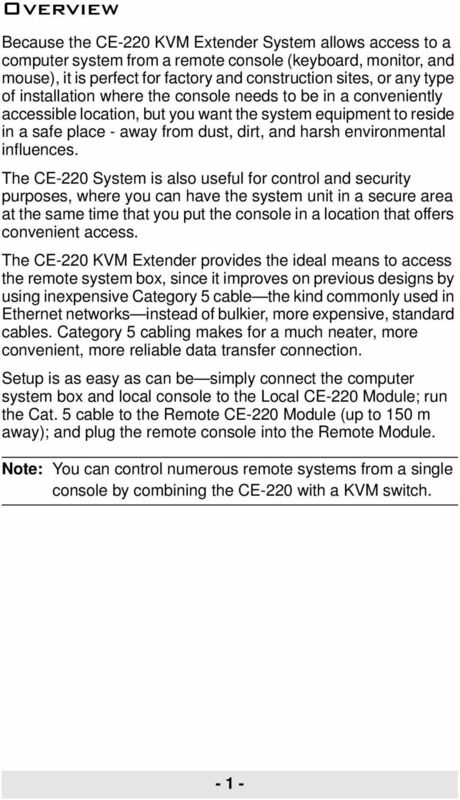 KVM - DVI, USB 2.0, Cat 5 Extender 330 feet (100 meters) EL5100 User Guide Powered by Thank you for purchasing the KVM - DVI, USB 2.0, Cat 5 Extender 330 feet (100 meters) Please read this guide thoroughly.